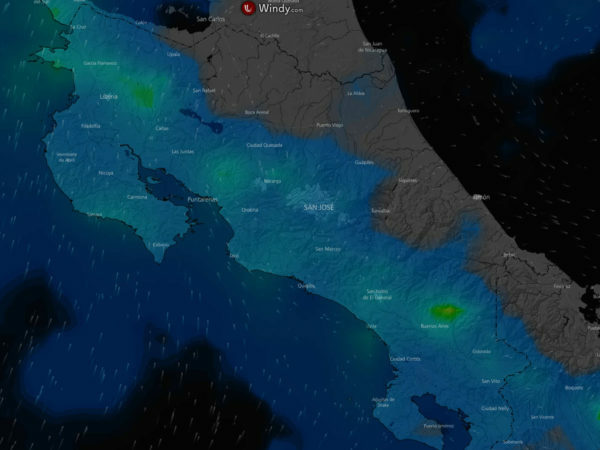 The 2018 Rainy Season Might End Early in Costa Rica! The rains usually taper off between late November and early January ushering in the Pacific side dry season in Costa Rica. There’s a lot of rainy season yet to come but in 2018 there’s a chance the rains could end early. NOAA is predicting a good chance El Niño conditions beginning in October will prevail by December and in Costa Rica El Niño typically means less rainfall. The arrival of dry season is not like flipping a switch and the rains will taper off. As always Guanacaste and the northwest will be drier sooner than the central Pacific and mountains. The Osa and far south Pacific never gets as dry as the north. The Caribbean side sees more sun in September and October but doesn’t really have a defined dry season. If you’re trying to make beach plans for the Holidays then farther north and west are always your safest bets. Strong winds across Guanacaste, the volcanic range, San José and the Central Valley blow in the dry season weather patterns by Christmas most years. When the moist air from the Caribbean moves over land it is driven up cooling as it rises and expands. The moisture is squeezed out as rain on the eastern side of the continental divide leaving hot dry conditions to the west. The winds typically pick up through January and continue into February frequently reaching 100 kph (60 mph). Even stronger gusts can uproot trees, damage buildings and are responsible for fatalities every year. 2017 was already shaping up to be one of the wettest years when in October Tropical Storm Nate destroyed roads and homes and killed and injured people across the Pacific half of the country with record rainfalls. It hasn’t dried out since. 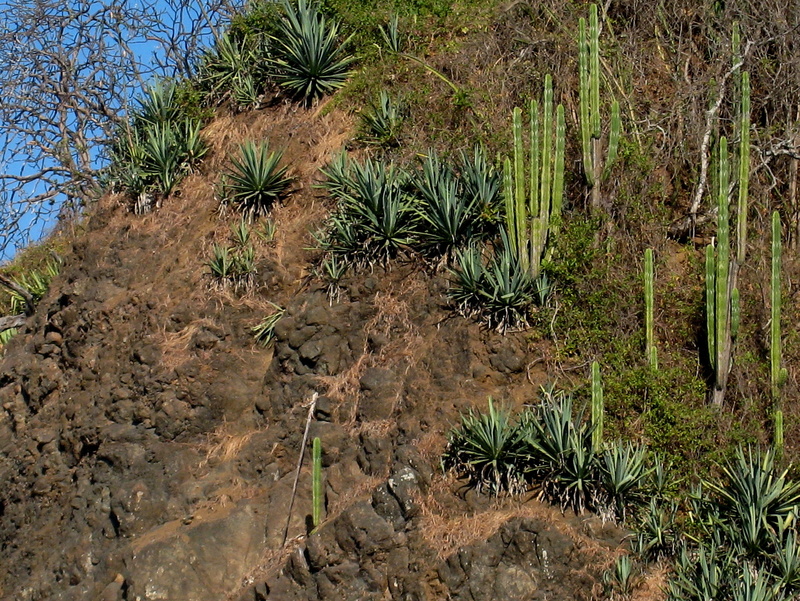 The Caribbean is normally much drier during the Pacific and Mountain zones rainiest months (September into December) and was mostly spared. However, now that the winds have shifted the Caribbean has been getting heavy rains and some flooding in mid to late December 2017. The 2016 rainy season was equally devastating. It started out with heavy rains and severe flooding in the central and southern Pacific and ended with historic hurricane Otto making landfall on the Costa Rica Nicaragua border and crossing from the Caribbean to the Pacific wrecking havoc in the lowlands. Otto was one of the latest forming hurricanes ever, the first ever hurricane to hit Costa Rica directly, and the first to ever to retain its Atlantic name as a Pacific storm after crossing the continent as a coherent system. By mid December all that had passed and the Papagayo winds picked up blowing in the drier air.